Hey guys and happy Tuesday! 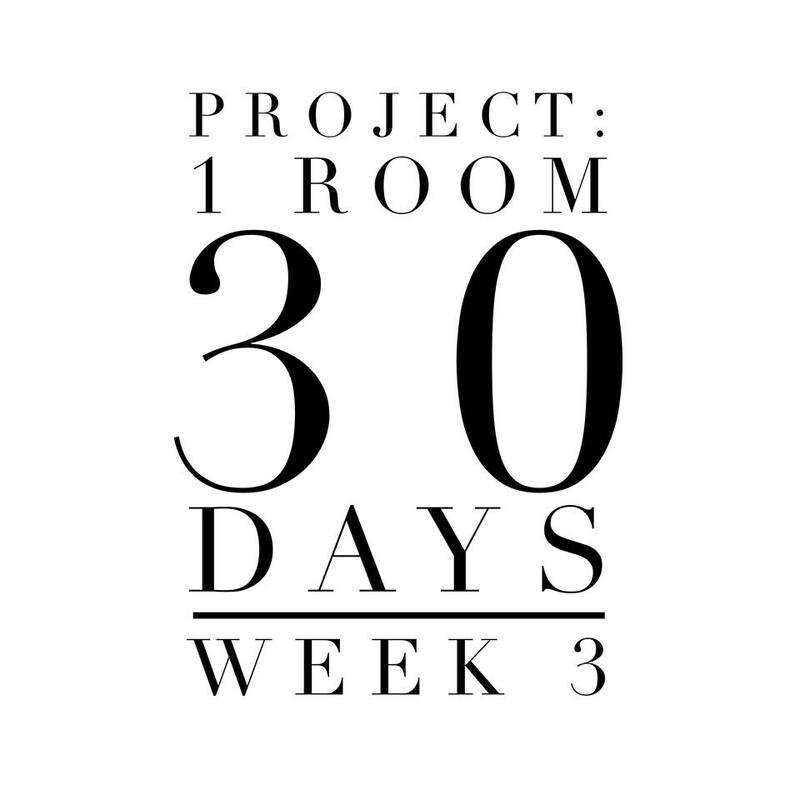 I cannot believe I am writing this but we are in week three of Project: 1room 30 days and it seems like time if flying!!! In case you missed it, here are my week one and week two updates. Click on over and check them out. I’m back today to share my seating area with you all. 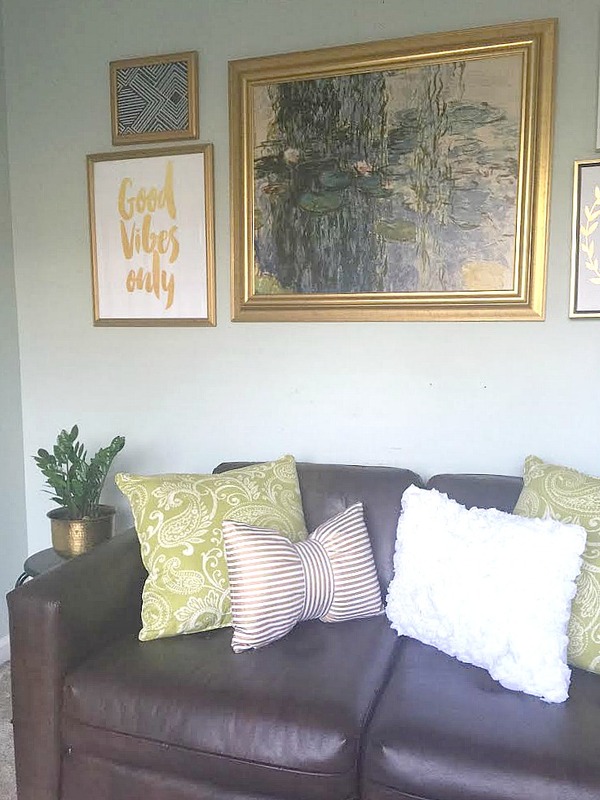 If you follow me on IG, then you may remember when I posted about finding this sofa at Goodwill for a whopping $25! After we got the sofa home, I moved her around to various corners in the room until I found the perfect spot. 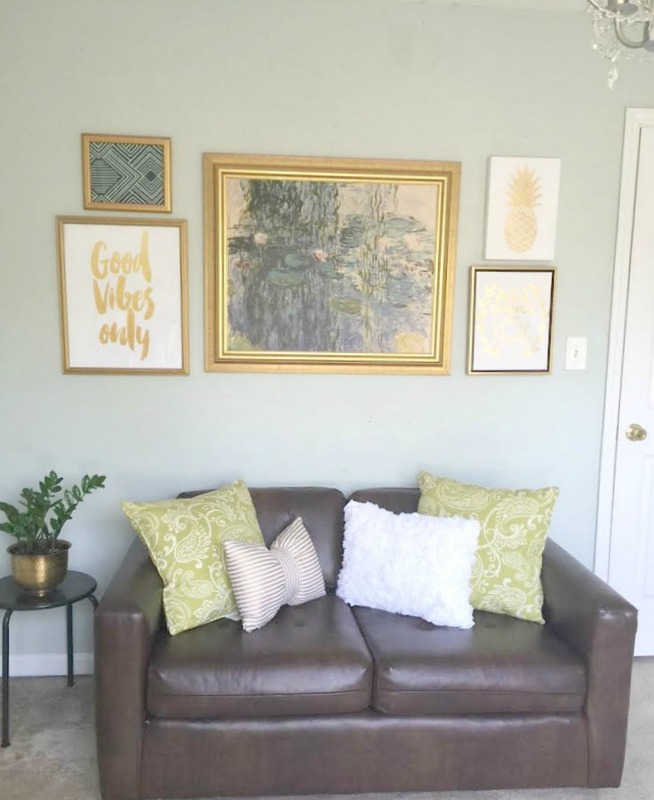 I finished the area off with a gold framed gallery wall, which I am sort of still playing with, and a small ZZ plant, and for the most part, this area is done! So what do you think? I am so happy with the way the office is turning out. Thanks so much for following along in this process. I will be back next week hoping to show some DIY’s that I am completing in this room. Oh, and does anyone have any tips on getting lipstick out of carpet? My dog got a hold of a tube and needless to say, its now embedded into my carpet in this room. Any tips would be appreciated! Next Post Live Pretty Kitchen: Changes Coming to the Kitchen! Great deal on the loveseat! I love the pillow selection you've got matching it. Everything is coming together nicely! Looks great Erin! Can't wait for the full reveal. Thanks Darnetha. I can't wait until its completed. Thank you Chari! I can't believe it was only $25. Sometimes Goodwill overprices things so I was happy with the cost. Looks great Erin!! Love the little couch that you found, and I'm happy that you found a spot for your couch. It looks great! That couch was a steal. Also love the gold/white bow pillow, I've been eyeing it forever, but have no place for it. It's a nice match with Good Vibes Only foil print. Thank you Tiffany. I knew I had to have this pillow and that it would be perfect. Thanks Carli. And about the carpet I hope to be able to get that lipstick out. You know how the little ones are! Love it! Regarding the lipstick, if you haven't gotten it out yet. There is a product called Incredible, takes just about anything out of carpet, upholstery and fabric. Bed Bath and Beyond carries it…it's in a red white and blue bottle. 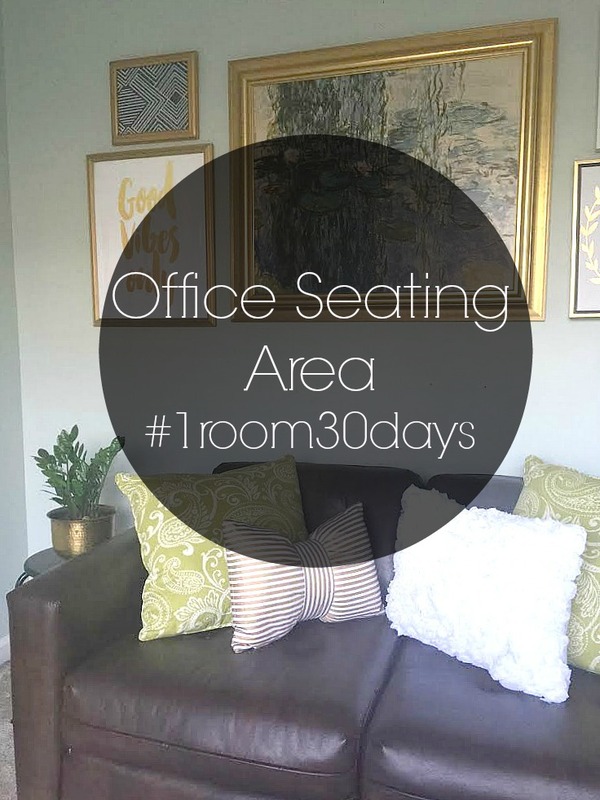 Your space is gorgeous! What a steal on that loveseat for $25. The perfect match! Looking good Erin! I can't believe the price of that sofa! Looking forward to seeing the whole space! What are your favorite goodwill shops in the Atlanta area? Do you have favorite goodwill shops in the Atlanta area?